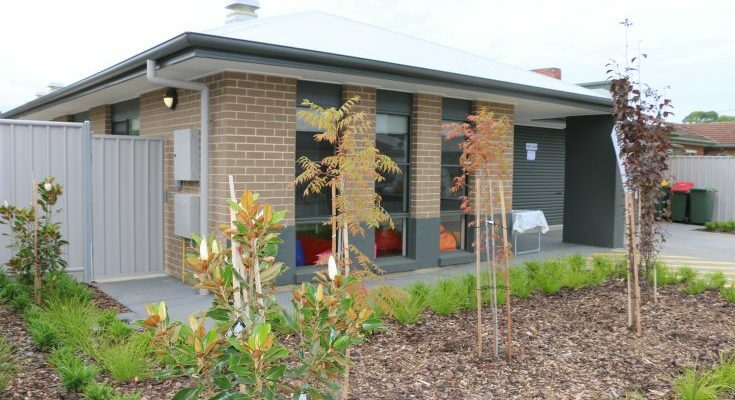 AnglicareSA and the State Government today opened a new, purpose built home for children and young people living with a disability. Montrose House, which has been built by the State Government and is leased to AnglicareSA, replaces the former Montrose Cottage at Netherby. It offers a diverse range of community and centre-based skills development and social programs, as well as overnight accommodation to give families a break from their caring role. AnglicareSA CEO Peter Sandeman said the new building will provide children and young people with disabilities and their families with a modern, welcoming home that’s been specifically designed to meet their needs. “This new home has accessible bedroom and bathrooms, a brand new kitchen for meal preparation, wide hallways for wheelchair and stroller access, large play spaces, sensory room and a vegetable garden. It’s designed to feel like a home away from home,” Peter said. “It provides an opportunity for families and carers and also assists the children and young people to develop life skills, make new friends and transition to independent living, all within a supportive, family friendly environment. Montrose House currently has 44 customers and the move to the new building allows AnglicareSA to expand its programs and services to include school holiday and after school programs, and extend its overnight respite services to five days per week. This reflects the increasing service demand generated by the National Disability Insurance Scheme. Minister for Disabilities Leesa Vlahos said the new facility was great news for local children and young people with an intellectual disability, as well as their families and carers. “Having a purpose-built space will provide an ideal environment for young people as it has been designed with their needs and safety specifically in mind,” Minister Vlahos said.